My Grandma raised three sons: Jim, Stanford and Floyd. The middle son, Stanford, is my father. Her husband was a shepherd, and he died when my father was 12 years old. 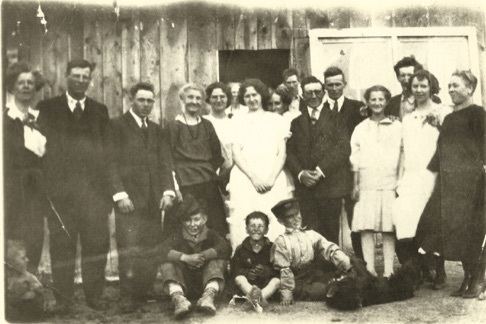 Grandma raised her children in the midst of the Great Depression. Two of her sons died each at the age of 52. 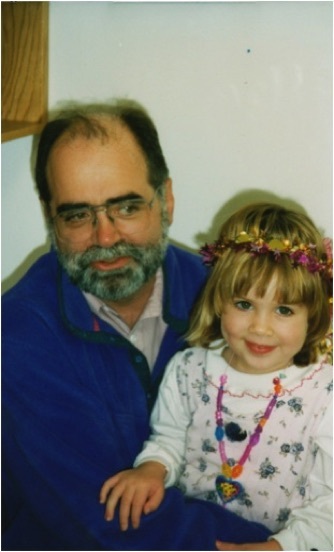 Jim died of the complications arising from a brain aneurism associated with the side effects of polycystic kidneys. Floyd died of bone cancer. He was on one of the ships monitoring the Bikini Island hydrogen bomb test, and his ship was too close to the explosion, and got “dusted”. My Grandfather Herschel was a Wobbly. These were left wing labor union people. He was involved in an attempt to unionize farm laborers in the 1930’s. There were several marches in Yakima until the local police started shooting and killing people. They rounded up the strikers, including my grandfather, and held them in an open pen in downtown Yakima. My Grandma and Herschel were estranged during the later years of their marriage. 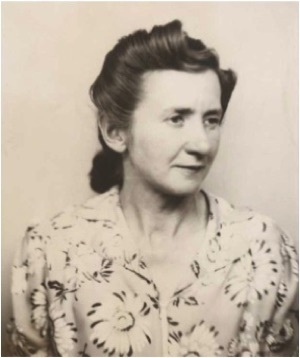 She was tough and it is hard to imagine her as romantic, but It seems at some time after her estrangement, she was swept away by forces she was unable to manage. There was at some point an episode in her life about which I only learned as an adult, and never fully understood. and her children. They rode the rails, sometimes living in tents and camps and surviving in the desperate poverty of the Great Depression. My father occasionally fished for his dinner, and I suspect he was often hungry. They lived a short while with Grandma’s sister in Oregon. 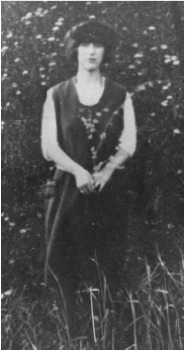 Her sister Minah had married a German prisoner of war from World War I, Chris. I remember Chris very well; he was a kind man who loved children. Grandma eventually returned to Selah disillusioned. She never remarried after her husband Herschel died, and lived alone the rest of her life. When I was a child, she wanted nothing to do with men, considering them unreliable. Herschel died shortly after her return to Selah. He had polycystic kidneys (a family disease which my uncle Jim inherited). 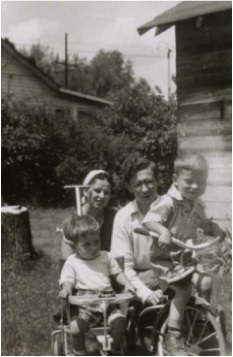 My father remembers riding his bike from Selah into Yakima to attend a lonely funeral. 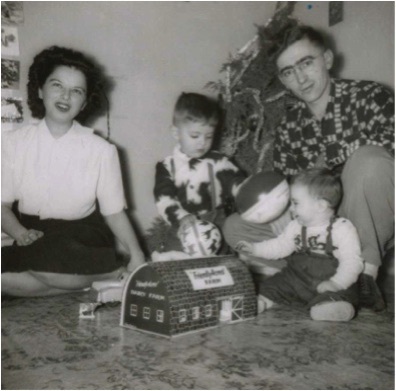 My Grandma now had the responsibility of a widow raising three adolescent boys. There were no food stamps, and she was too proud to accept charity or welfare. She worked in the warehouses packing fruit. She got sick, and my father had to support the family, which he did while finishing high school. Dad started a vegetable garden in the backyard, and they owned a cow which he kept in the field across the street. Between the ages of 12 and 14 my father had his own business selling ice cream and candy at fruit warehouses. He made about $40 per month. Grandma had lined an apple box with canvas and sawdust for insulation so that dad could carry the ice cream. 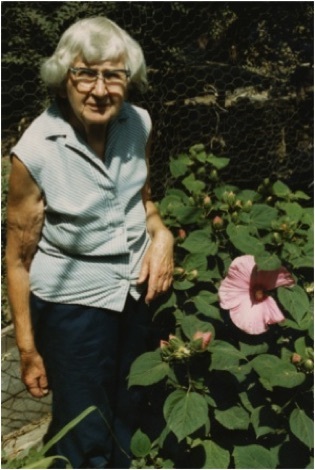 Grandma eventually educated herself, with my father’s help. She became an accountant at a women’s clothing store in Yakima, Lou Johnson’s. She worked there from the first times I can remember until retirement. My family comes from the High Desert of the Pacific Northwest. This area includes Montana, Idaho, Eastern and Central Oregon and Washington. It was settled during the latter half of the 19th century. This is a land of rivers fed by the Rocky Mountains and the Cascades. The Columbia and Snake are the most famous. The land is good for raising sheep, cattle and with irrigation, all manner of fruits and vegetables. The mountains at one time had mines for copper and silver, but these mines are long dead, or worse, an attraction for tourists. There are many coyotes, rattlesnakes, and an occasional puma. Coyotes and pumas were hunted to near extinction during and before my childhood, and are now reviving since both the deer population and human tolerance increase. My Grandma Jennie was born in Albany Oregon and was raised in Idaho. 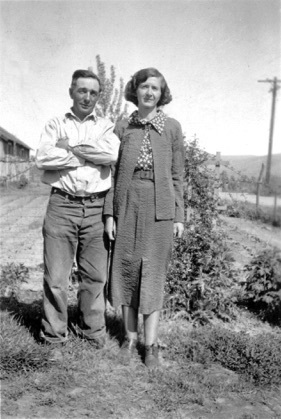 She got married to Herschel McLerran when she was about 18, and moved to Selah, Washington, where she lived almost all of her life. 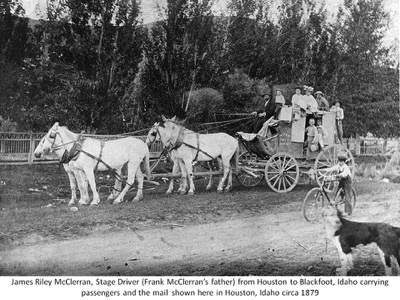 Selah was a town settled by pioneers. It lies at the confluence of the Naches and Yakima rivers, between the Yakima and Wenas valleys. The Cascade mountains are nearby, and as a child I would collect pumice rock from ancient volcanic eruptions. Central to the Yakima Indian creation myths is genesis from volcanic ash and mud. I believe Herschel's ancestors had immigrated to the Briish colonies sometime not too long after the Jacobite rebellion in Scotland. They most probably were indentured servants. After paying off their indenture, they ended up in the mountains of Tennessee where they mixed with the Cherokee. Many Scots had sided with the British in the American revolution, and in the South, the revolutionary war was in many respects similar to a civil war. The recently arrived Scots had little money and property, and many found themselves ironically on the side of the British, who they had fought in Scotland. But for whatever reasons, after the revolution there was no doubt recrimination and many Scots left for Canada or quietly drifted off into the Wilderness. Later, during the Civil War, again Tennessee was divided, and Herschel's ancestors were caught in the middle. Many of the mixed breed Scots ended up fighting for the South. Of course the South did not represent their interests, but the North treated them badly as well. After the Civil War, with the South in ruins, Herschel's family escaped out west to the high plains of Montana, Oregon, Idaho and Washington State. I know less about Jenny's family. The picture on the right is of her mother and father and her older brother. 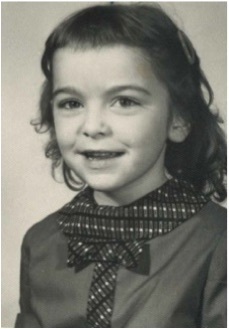 Remarkable is how much her mother looked like Jennie. Her father did carpentry work and for a time worked on building ships in Astoria. Her family moved throughout the northwest in search of work. Grandma did not live in the fancy part of town. She had neighbors like the West family next door who looked in on her, and my father always lived not too far away. She was proud of her independence. She raised and slaughtered her own fowl. She grew enough fruits and vegetables to provide for herself through the winter. She was proud of her skills as an organic gardener, long before this phrase was even in common use. She was an intelligent woman with strong opinions on many matters, and little interest in other things. In her later years, when she was getting forgetful, she would buy a new chain saw every spring forgetting the one she had bought last year. The Wests would quietly return the new one to the store and collect a refund for her. Grandma was particularly important for me. She was always there when things were difficult. I remember once as a 10 year old boy, I had gone fishing in one of the nearby ponds. There was an old oil barrel lying nearby, which had part of its sides removed. It looked to be a perfect boat, but with obvious problems of stability. I and a friend got into it and with sticks pushed ourselves into the pond. When the first fish took our bait, our boat capsized. This was in the fall, and there was a thin layer of ice on the water. We got out of the pond OK but were soaking wet. My grandma somehow had sensed there would be trouble, had followed us down to the pond, and found us sitting by the bank shivering. She took us home, dried out our clothes, and fed us. Grandma was always curious and loved to read. She encouraged her grandchildren to read too. Even with her small income, on my birthdays or Christmas she managed to buy me a book about science, and I would read about dinosaurs or galaxies of stars, or submarines. In her later years, she began to have strokes, and eventually could not live alone. She did not like being dependent on anyone, but there were few options. We were glad when we managed to find a place for her in an unusually supportive nursing home. She was given a space where she could garden. The management made a handsome sign identifying it as “Jenny’s Garden for the Residents,” and served produce grown there at mealtimes. She was very proud of this. After some years, while watering her garden she fell and broke her hip. There was a botched attempt to fix things, and in the process she got gangrene. At about this time, her roommate died of cancer. Grandma figured she had lived long enough, so she put in her pair of false teeth, and refused any water. No one could pry her mouth apart. The High Desert is a place which values human freedom and independence, so she was allowed to die, which she did peacefully after three days. It was midwinter, and at her funeral, the ground was blanketed with snow. I had bought a single rose and tossed it onto her casket as she was buried. Grandma might not have been happy to see a good rose be wasted, but I think she would have understood. Lower right: Mom and Dad’s wedding picture. As a young man, my father wanted to go to the University and become a mathematician. He worked while in high school to help support his mother and brothers. When he was graduating from high school, the Second World War was in full swing and he joined the navy. He served on an amphibious landing ship. When the war ended, he was off the coast of Japan preparing for the invasion, an invasion where he and millions of others would have very likely died. 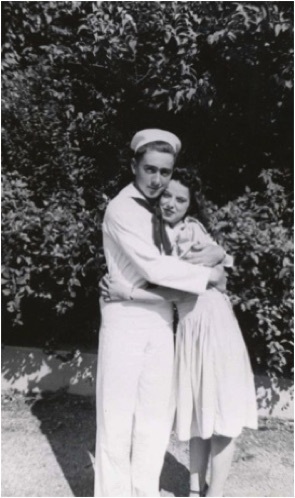 During the war, he met my mother Geraldine Myers, and they were married before the war ended. Their wedding photo is to the right. Mom was from Lancaster Pennsylvania. She had been raised by her aunts. Her mother had died in a stove explosion and subsequent fire. Her father was a school teacher and was college educated, but after his wife’s death drifted into depression. 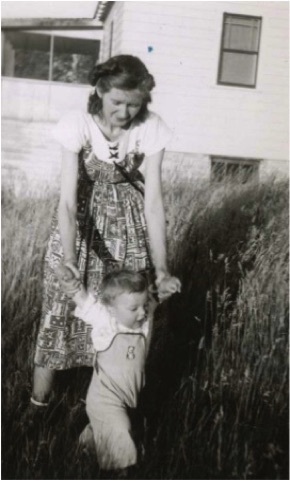 On the few times I met her father, he was living in the Yakima Valley working as a farm laborer. Neither my mother nor my father ever got to college. After Mom and Dad were married, Mom went off to live with Grandma. 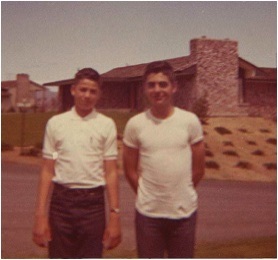 Once the war was over, they got their own place and had their first child, my older brother Stanny. He died shortly after his third birthday. 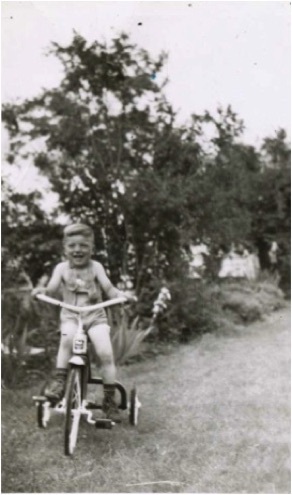 He had been given a tricycle as his birthday present. 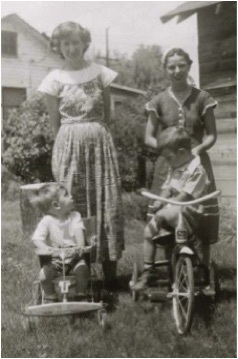 I was a little older than 1 year at the time, and my mom’s attention was diverted while Stanny rode his tricycle down the hill from our house. He was run over when a truck backed up in a driveway. Upper: Stanny on his new trike. I think my first memories are of Stanny and are associated with pictures taken at my Grandma’s house. I remember chasing Stanny around the yard in my stroller. Years later, after my Grandma’s death, we went through her personal items and discovered shiny red ribbons which she had kept from Stanny’s casket. My father always worked hard, and put a high value on education. He took night classes at the business college, and a correspondence course from International Correspondence School, and with self-study got his CPA. He built his own accounting business in Selah. He eventually moved to Richland when I was in my late teens. He worked for a while with the companies doing contractual work for the nuclear reactors in the Hanford area, but eventually reverted to self-employment. My mother and father were both active working with young people, in particular scouting, little league baseball and the local Selah swim team. Dad is proud of the Key Award that he received for his long service to the Scouts. He was also active in the Junior Chamber of Commerce, and more recently with the Veterans of Foreign Wars, serving as the local post Commander for many years. Mom and Dad were both tolerant and supportive of my experiments using a chemistry set which was given to me as a Christmas present. When combined with other chemicals which you could find in local drug stores, and battery acid from the local service stations, you could generate a number of unexpected results. Dad and Mom always had books around, including both the Encyclopedia Americana and a science encyclopedia. Mom was traditional, staying at home and taking care of her three children. She was very attentive. I only remember she let me down once. I and a friend had been out camping overnight along the Yakima river. My friend’s dog was along, and somehow in the middle of the night the dog had an unfriendly exchange with a skunk. The dog came back to our camp and climbed in bed with me while I was asleep. The next morning we hiked back home, my friend insisting that I keep some distance from him. When I got home, tired and with a bad headache from the awful smell, Mom somehow noticed when I was coming through the door, and insisted I go outside. She locked the doors and would not let me in until I had taken off my clothes and rinsed in the lawn hose. It was hard to convince her that I had really rinsed off, since skunk is a smell that doesn’t wear off, but eventually I got inside. As an adolescent and teen, I think I was very difficult. Like many young men, I grew up conflicted and angry. Being an angry young man is however only acceptable so long as you are young, and I am many years past that. I now can understand my parents on their own terms, imagining their goals, successes, and unfulfilled dreams. I have a brother and a sister, Dennis and Jennifer. Jennifer had the misfortune to be the youngest. When Dennis and I would go off to play, Jennifer remembers we would chase her back home, like a dog that had tried to follow us to school. other things, she has been involved in academic misconduct issues, an area which is a minefield, and requires much lightness of foot. 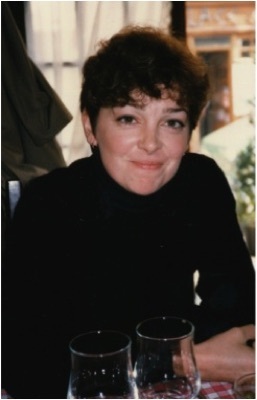 Jennifer is artistic by talent and temperament, and became an art historian and successful academic. 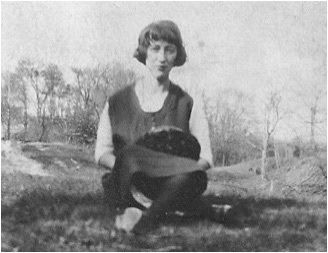 She and her husband Tom Patin, were on the faculty of the University of Ohio in Athens for many years. Jennifer was also curator of the Kennedy Museum of Art. She and Tom have recently moved to Northern Arizona University in Flagstaff where they are both on the faculty. Jennifer is now the Director of the Northern Arizona Art Museum. Tom is Director of the School of Art. Jennifer and Dennis probably had much difficulty with me when we were kids. I was very rebellious, and I think I embarrassed them. I probably still do. But with Jennifer as an adult, we had some good times together in Paris. 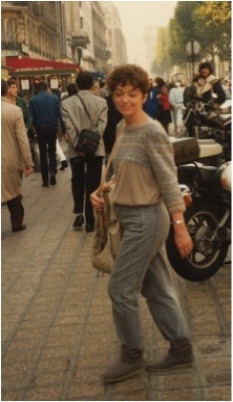 On our first visit to Paris together, Alice and I invited Jennifer to come and spend three weeks with us there. It was the most beautiful October Paris has enjoyed for 50 years; everyone there told us that. The photos above are from this time. Jennifer and Alice introduced me to Greek restaurants on the Rue Moufftard, some of which still remain after 20 years, and where Alice and I will have an occasional dinner while in Paris. I see Dennis and his wife Karin and daughter Kristin more often than I do Jennifer. 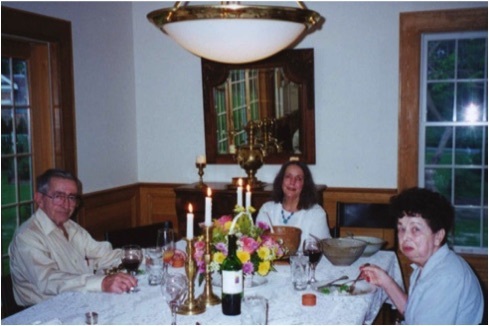 During my time away from the Pacific Northewest, my paths would sometimes cross Seattle, and when there I tried to have dinner with Dennis and his family. On the right is a photo of me and Kristin when she was a young girl. She is now a young woman. She has a strong and independent mind, and I suspect will naturally cut her own course through life. I have recently returned to the Pacific Northwest to become a Professor at the University of Washington and Director of the Institute for Nulcear Theory, so I shall see family more often. 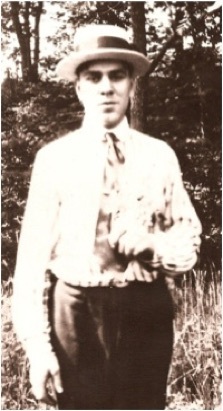 My father was born in 1925. This was a time of great optimism. It was almost 4 years before the stock market crash of 1929 and the resulting Great Depression. My father was 8 years old when Hitler assumed power, and 16 years old when the Japanese attacked Pearl Harbor. His father died when he was 12 years old, and it was not a time when it was easy for a single mother with three children. 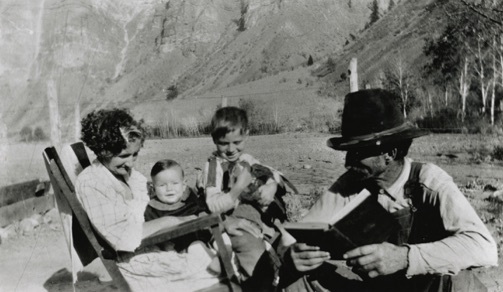 During the Great Depression, for a while he lived in tent cities along the Columbia river. 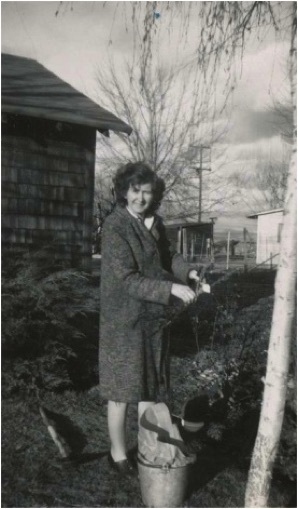 It is no accident that my Grandma Jennie learned to grow enough vegetables and fruits to make it through a winter. Dad always worked from when he was a young boy until the day he died. Later, as an adult, he helped Grandma Jennie take courses in business school so she could have a decent job as an accountant for a department store in Yakima. My father wanted to go to the University and study mathematics. Instead, he joined the navy. He served on a landing craft. During the Pacific War, this was a very dangerous place to be, as you had to land under fire on a beach, then return to a troop carrier and try it again. Countless numbers of young Japanese and Americans died in the invasion of the Pacific islands, in a war of unimaginable carnage and savagery. When the war was ending, he was stationed off the coast of Japan awaiting orders for an invasion that many estimated would have cost millions of American and Japanese lives, and quite probably that of my father. During the war, he met my mother at an amusement park in Pennsylvania. They fell in love and married. 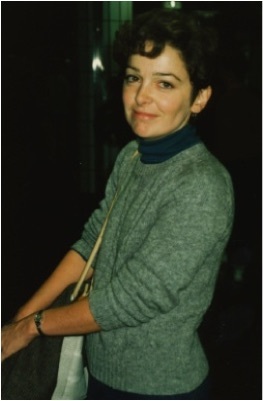 Mom was 19 at the time. 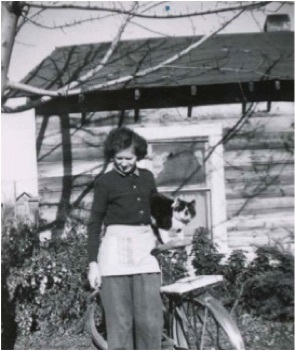 She made the trip across the US in trains full of soldiers to live with my Grandma Jenny and wait until the war ended for my father's return. It was perhaps an impulsive decision my parents made, but a good one. Mom and dad were married 72 years. My father's dreams of college were not to be. Dad still loved numbers, and through self-study taught himself enough to become a licensed Certified Public Accountant. Even at 91 years old, he looked forward with excitement to tax season. Mom and Dad went through the sorrow of losing their oldest son Stanny, and raised Dennis, Jennifer and me. 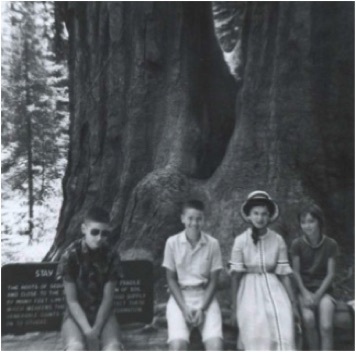 We three children went on to the University and later to professional or graduate schools. Dennis was most recently the Director of the EPA for Alaska, Oregon, Idaho and Washington, Jennifer is an Associate Professor of Comparative Cultural Studies at Northern Arizona University and I am a Professor of Physics and Director of an Institute at the University of Washington. Although neither of my parents had an opportunity to go to college, my parents provided the educational opportunities that allowed their children to thrive and fulfill their dreams. There are also the intangible values which a father transfers to his children My father taught me loyalty and honor. He taught me to question authority, which I do with great enthusiasm, although he, like myself, was not always pleased when the authority was himself. I guess death is so difficult because it like life is not understandable. There is much that is impossible to comprehend by logic and scientific method and much of what is our consciousness is belief. We spend our life trying to find some way to preserve our existence through our families or the impact we make on the world around us. My father was very proud of his marriage, his children and his time in the navy, and this brought some order and good into the world which would not be there without him.